Please fill in the short form below with your question, either about the Simrad HD TXL Low Emmission Radar, or for some technical advice. Please include details of your vessel if you feel they will help us answer your query. 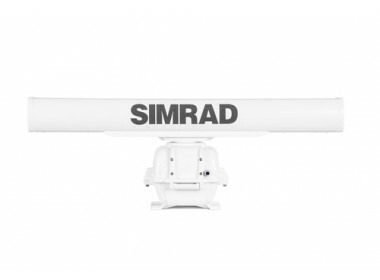 The Simrad range of TXL Low Emmision Radars provides you with unparalleled situational awareness, the radar scanners also have exceptional detection of small or distant targets and minimised screen-clutter. Scanners available: 4 foot, 10kW. 6 foot, 10kW & 7 foot, 25kW. When installed 15m (50’) above the waterline, the TXL Radar scanners comply with tough IMO IEC62388 Annex D target detection specifications. In addition, it will trigger RACON navigational aids and SART locator beacons at a minimum of 5nm range, when installed just 5m (17’) high. Rapidly determine the bearing and distance to any radar target with dual Electronic Bearing Lines (EBL) and Variable Range Markers (VRM). Dual Guard Zones alarm on targets both entering and existing the zone, with independently configurable range and sensitivity. Automatic Harbour and Offshore modes provide tune, gain and sea clutter adjustments to suit the conditions. While easy manual override ensures you’re always the one in control, the TXL Radars provides hands-off operation that even the most experienced radar user can have confidence in. Suitable for both recreational and non-IMO commercial use, the TXL radars are built to commercial standards with long-life magnetron, brushless geared DC motor, and IPX6 waterproofing. 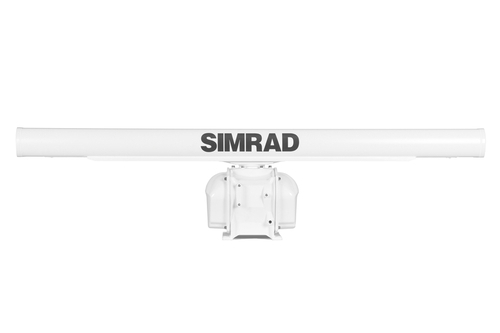 This array is designed to withstand sustained wind loads up to 100 knots, while maintaining a minimum 20RPM rotation for reliable situation updates whatever the conditions. The TXL radar scanners meet all current and upcoming Low Emission standards for radar. With “radiation safe” distance within the turning circle of the antenna, this HD Digital Radar can be operated almost anywhere. The HD Digital 10kW/64nm birdfinder radar features a high performance 4-foot open array scanner with compact pedestal design, ideal for smaller centre console vessels with limited top space. With 64nm instrumented range and 1.8° beam resolution, the 10kW TXL-10S-4 is suitable for both offshore and inshore use. The HD Digital 10kW/72nm birdfinder radar combines a high performance 6-foot open array scanner with compact pedestal design, and the latest in digital signal processing. Experience unparalleled situational awareness, with exceptional detection of small or distant targets and minimised screen-clutter. The HD Digital 25kW/96nm birdfinder radar combines a high performance 7-foot open array scanner with unprecedented 1.0° beam resolution, and the latest in digital signal processing. With outstanding 96nm instrumented range and best-in-class 1.0° beam resolution, the TXL-25S-7 is suitable for both offshore and inshore use. Don’t be caught unprepared for the conditions: with powerful 25kW transceiver, strong weather cells and front lines can be seen over 100nm away. Note: The TXL radar series do not constitute an IMO-approved navigational systems for SOLAS vessels.